Work in Progress – Photo 3 » Roger Perron Inc. This section shows some work in progress. 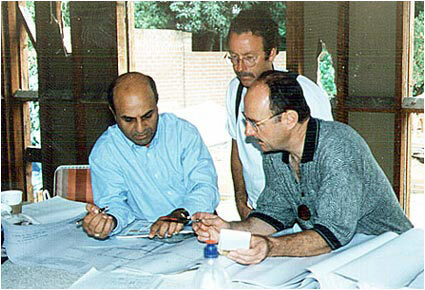 Roger Perron (far right) organizing job details with engineer and site supervisor.